An atrial septal defect is a hole in the wall between the two upper chambers (right and left atriums) of the heart. A transcatheter procedure is a minimally-invasive way to fix the hole. During this procedure, a device is implanted to seal the hole. As your child gets better, the device will trigger the heart tissue to grow. It will slowly grow over the hole. 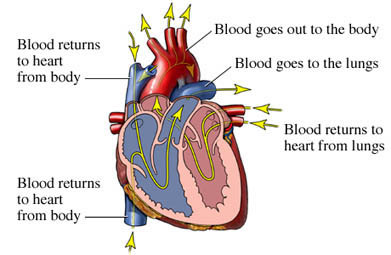 If a child is born with a hole between the upper chambers of the heart, the blood can flow backward into the right side of the heart and into the lungs. This triggers the heart to work harder. Over time, this can lead to damage to blood vessels in the lungs and congestive heart failure . This is done to fix the hole. Most children will have good results. Talk to the doctor about ways to manage things that may raise your child's risk of problems such as chronic disease such as diabetes or obesity. Low birth weight or a recent infection may raise the risk of problems. You will be told whether your child needs to stop taking certain medicine. Ask when your child should stop eating or drinking before the surgery. General anesthesia will be used. It will block any pain and keep your child asleep through the surgery. Your child will get IV fluid and medicines through a vein in the arm. A tube will be inserted either in the arm or groin. Next, electrodes will be placed on the chest. They will send information to the EKG machine, allowing the heart to be monitored. A catheter will be placed in the blood vessel and advanced so the end is in the heart. Dye will be injected to allow the doctor to view x-ray images of the heart. An echocardiogram may also be used. Before the hole can be covered, the doctor will need to find out the size of the hole. A tube with a balloon attached to it will be sent to the upper chambers of the heart. The balloon will inflate and measure the hole. When the size of the defect is known, another tube will be sent to the heart. This tube will have a device attached. There are many types of devices. Some are able to open so that the hole is covered on both sides. Others open like an umbrella to cover the defect. After the device is placed, the tube will be removed. Lastly, a bandage will be placed over the site. Your child will have pain. Your child will be given pain medicine. The usual length of stay is 2 to 4 days. In some cases, your child may be able to go home as soon as the next day. The doctor may choose to keep your child longer if there are problems. Do tests, such as an EKG, chest x-ray, and blood tests. Have your child lie still and flat for several hours. This is to prevent bleeding. Place a pressure bandage to reduce bleeding. Encourage your child to drink plenty of fluids to flush the dye from his body. Give pain medicine to ease discomfort. Atrial septal defect. Cove Point Foundation website. Available at: http://www.pted.org/?id=atrialseptal4. Updated January 24, 2017. Accessed June 26, 2018. Atrial septal defect. Kids Health—Nemours Foundation website. Available at: http://kidshealth.org/parent/medical/heart/asd.html. Accessed September 2016. Accessed June 26, 2018. Open-heart surgery. Cincinnati Children’s Hospital website. Available at: http://www.cincinnatichildrens.org/health/heart-encyclopedia/treat/surg/open.htm. Updated June 2015. Accessed June 26, 2018.